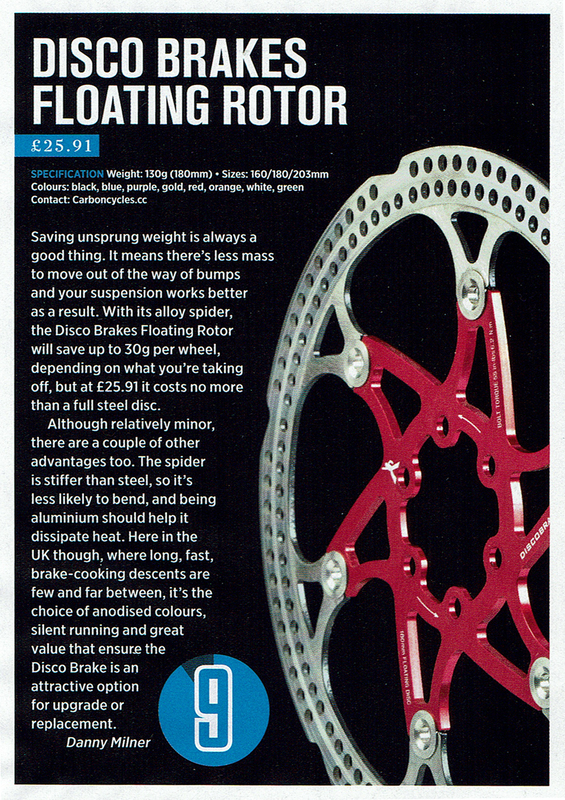 The MBR crew had a closer look at our floating rotors in the November issue (page 75) of the magazine. A 9 out of 10 score and a glowing review was the outcome. Another great result after the super test win of our Thermoplastic pedals in the September issue. Read the full story here.